You need targeted marketing and name recognition to grow your business in Dallas. 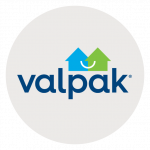 Valpak of Dallas offers both, with direct mail marketing and digital advertising solutions that work: coupons, unique imprinting, website design, SEM services and more. Valpak is also a Google Premier Partner and our local franchise is Google Ads certified to give you enhanced online visibility. It’s easy to gauge your return on investment with Valpak of Dallas’ state-of-the-art tracking packages, including integrative performance dashboard and call tracking tools. Contact us to explore ways Valpak can help you reach some of the most coveted neighborhoods in Dallas and boost your small business growth. For specific dates and coverage, contact your Valpak of Dallas representative.